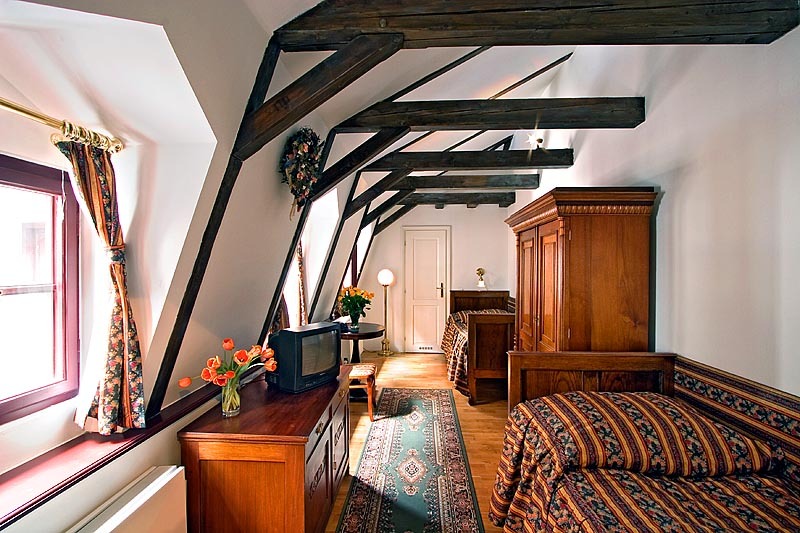 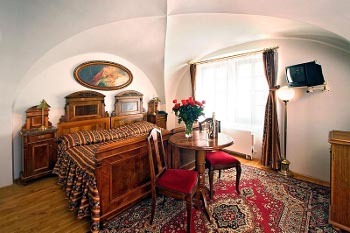 The newly reconstructed historical building of the Hotel Waldstein is situated right in the centre of Prague in the Mala Strana (Lesser Town) very close to Prague Castle, Charles Bridge and other famous sights. 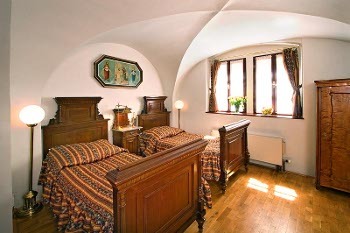 This originally Gothic building was transformed during the late Renaissance. 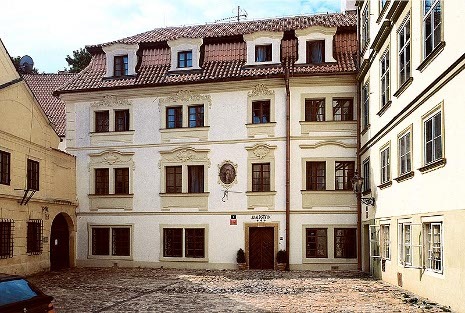 The final adaptations, made by Alois Kamarýt, the ancestor of the contemporary owners, date from the last decade of the 19th centuryBecause of uniquely conserved architectural elements, the building is a listed national cultural heritage monument of the Czech Republic. 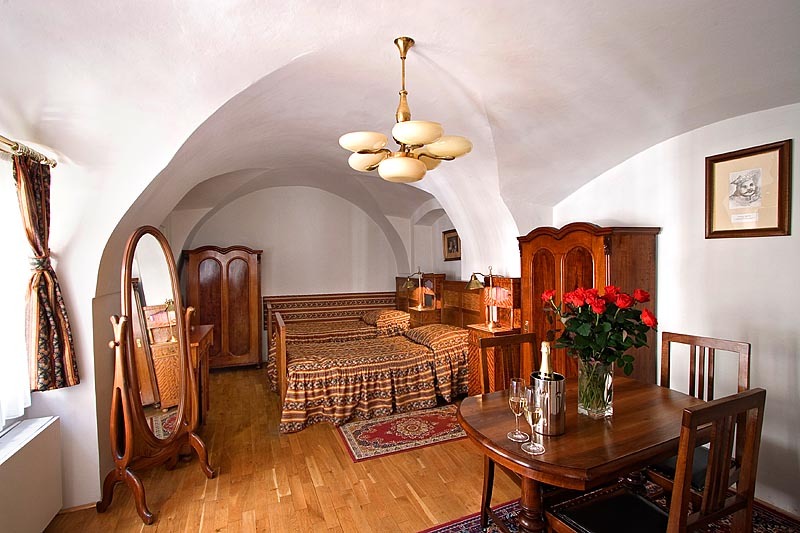 There are 7 four- and 1 five-bedded suites, 4 double and 1 triple bedroom at your disposal. 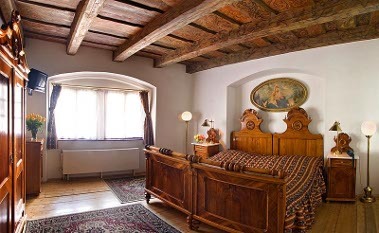 All rooms are equipped with original antique furniture. Some rooms still feature the original painted ceilings from the 17th century as well as Gothic and Renaissance vault and wall murals. 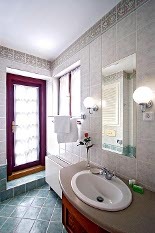 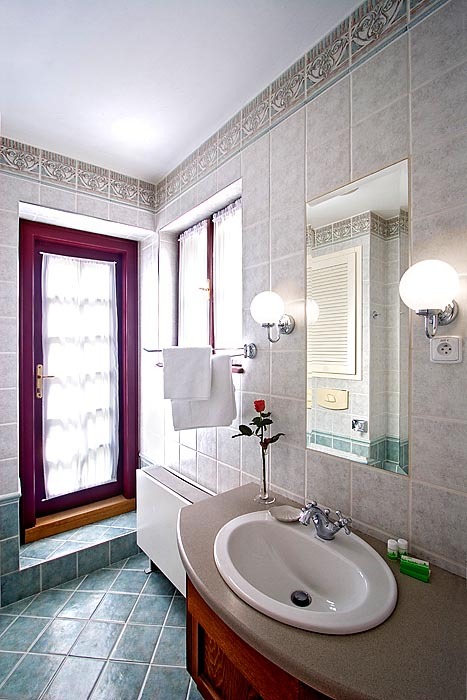 All rooms have their own facilities - shower or bath and WC, cable TV, minibar and direct dial telephone. The reception desk is available 24 hours a day. 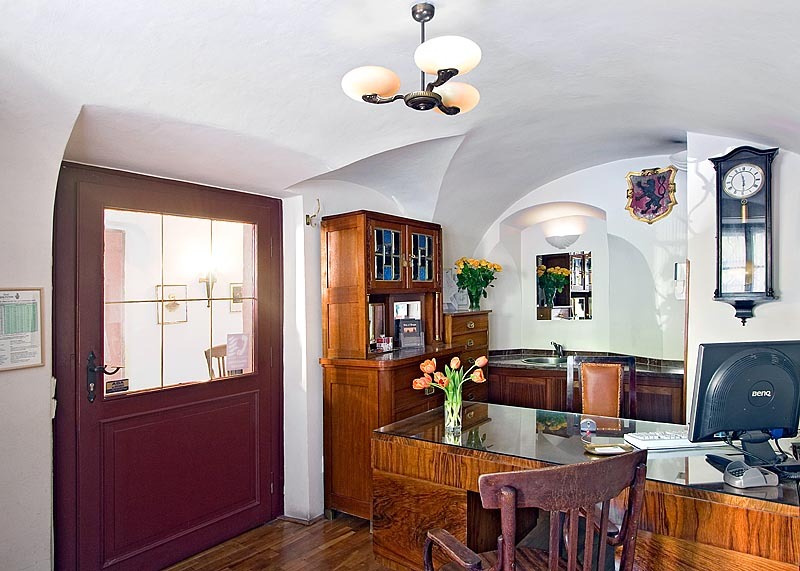 At reception you can buy drinks, toiletries and souvenirs, exchange currency or book some of the sightseeing tours excursions or transport that are on offer. 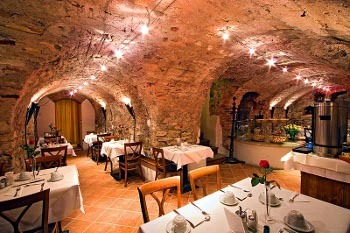 Rich buffet breakfasts are served in a lovely Renaissance vault with original well. You are also welcome to use the vault both day and night. 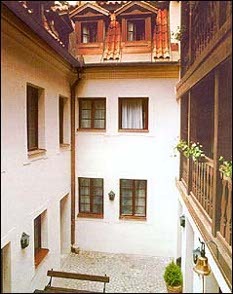 In the summer time you can also relax in the pleasant atmosphere of the hotel atrium.